I’ve been promising a blog on willow almost since I started posting, so on a very wet Sunday afternoon, with no chance of getting any work done on the barn roof, here it is. Willow, like comfrey (see 10th August) is a wonder product, with many uses. There are a huge amount of varieties from huge trees and shrubs, down to tiny dwarf mountain shrubs. I was hooked on my permaculture design course when, one evening after dinner, we sat down to an excellent chat with slides by one of the UK’s original willow experts, Steve Pickup of The Willow Bank. Willow is probably best known for providing rods for basketry but has numerous other uses such as making living willow structures and hurdles (fence panels) providing hedges and windbreaks, providing quick growing biomass for fuel, stabilising river banks and cleaning soil and water courses. Willow can be a permaculture solution to damp area of land. 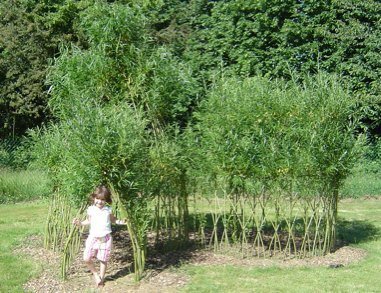 Rather than install drainage at great expense, plant a fast growing willow variety, such as salix viminalis and cut the resulting biomass to heat your house: an example of designing with existing features rather than forcing the land to your wishes. Click on the links for English and a French examples of using willow – which is hungry for the nitrates which pollute watercourses – to clean up pollution, simultaneously providing a permaculture output of fuel wood, elegant solutions! On the more recreational side, you can make beautiful garden structures from both living and dried willow. 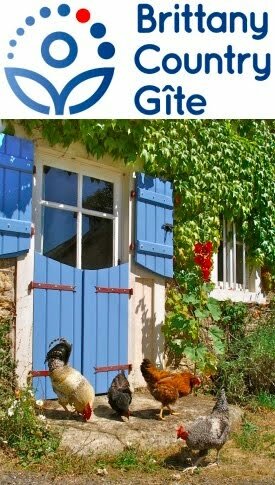 We did both of Steve’s courses, which were great fun and you can see one of the structures we’ve built here in Brittany for our friend Caroline and her children at their family holiday gites. The first pic shows it under construction and the second is just six months later. We’re hoping to build some willow fedges (is it a fence or a hedge?) and structures at our home this winter. HI, great to see you putting Steve's techniques into practice, he would be proud! I was going a workshiop with him a school in Reading last month, it was great fun. 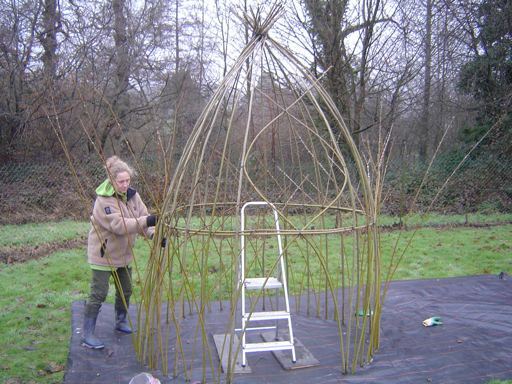 Hi -- I'm heloing a school in Isére design a garden, and we would love to have one or two living willow structures. Do you know if there is someone in this part of France who either would make one, or be able to give instruction and provide the willow? We´re on honeymoon in Barcelona at the moment. Email me (go to "my profile" then "email") and I´ll get back to you once we´re home again.